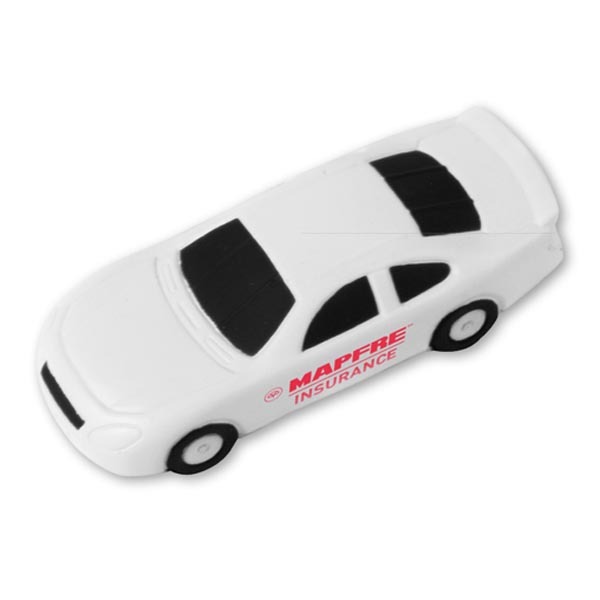 Rev up your promotional efforts with help from this racecar stress reliever! This eye-catching therapeutic aid is white and measures 4 1/2"W x 1/2"H x 1 7/8"D, a perfect size to keep handy at your desk in times of anxiety or worry. An outstanding giveaway for car dealerships, rental and insurance agencies, car shows and so much more, it can be customized with an imprint of your company logo and message. Race out to grab this item! Size: 4 1/2 " x 1 1/2 " x 1 7/8 "
Price Includes: First repeat set-up is free. Charge is for additional set-ups.